The 30329 zip code begins at Emory University on it's south side, and extends northward to the Brookhaven area it's north border. 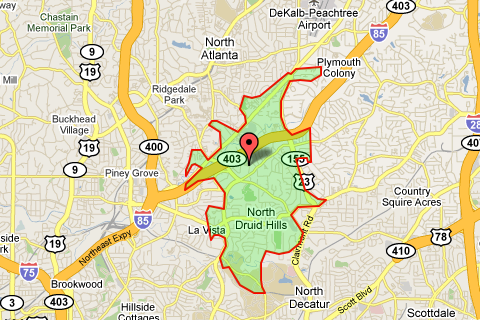 The zip code encompasses the North Druid Hills and Toco Hills areas, with the Lavista area on it's west and North Decatur to the east. Zip code 30329 is relatively small in terms of the number of residential properties. Condos in 30329 can range from just under the $100,000 mark around $400,000. Single-family homes in 30329 typically range from around $200,000 to just over $1M.